← Are You Creating Boundaries or Constraints? Have you ever had days when it seems impossible to talk to people effectively? Either they are being total jerks or they just don’t get what you are saying. By the end of the conversation you are ready to scream. I know I’ve had plenty of those days in my career, and at home. All my energy is drained by the end of the day and the thought of doing it all again the next day can be depressing. The only way around that is to find a way to communicate more effectively, even when the other person isn’t cooperating. This can be very hard and at times it will feel like you are climbing a mountain, over and over again. However, if you practice a few simple things it will be easier in the moment and get better over time. Meet the person at their level: It’s easy to start from your baseline and expect people to be right there along side of you. Unfortunately, that is rarely the case. You need to figure out where that person is and meet them there. Then you can start to get your message across. Stop and listen intently: Once you’ve shared information take the time to ask if they understand you and then be quiet. Listen closely to what they say without judgment or rushing to correct them. Wait to see what they say. Acknowledge their response: Take a moment to reflect back what you heard from them. This lets them know you paid attention to them and heard what they said. They might be wrong, but they were heard. Now they will be more open to listening to you. All too often we get in a hurry to dump information and run to the next person, task or meeting. We aren’t taking the time to make sure we are heard and then we blame the other person for “not getting it”. Is it really their fault? Maybe they didn’t listen or they didn’t care enough to retain what they heard. Maybe we didn’t take the time to be clear and verify we were heard correctly. Sure it takes more time up front, but it saves time, energy and money down the line because things are done right the first time. The other side of the challenge is talking to jerks. Communicating with problem people is a topic I addressed in Energize Your Leadership, a collaborative book I had the pleasure to create with a group of 15 leaders from around the world. In my chapter I shared stories about some of the problem people I have crossed paths with and how I learned to be a better communicator because of the challenges they presented. It was a unique opportunity to work with 15 thought leaders from around the world to create a book whose purpose was to help others discover new ways to create energy, ignite/re-ignite their passion for leading, and break through their barriers. I have gotten to know many amazing and inspiring people who were willing to open up about their leadership journey. The stories are real world struggles and shared with the goal of helping others learn. If you would like to learn more about the book, the authors and our story check it out at http://www.energizeyourleadership.net. 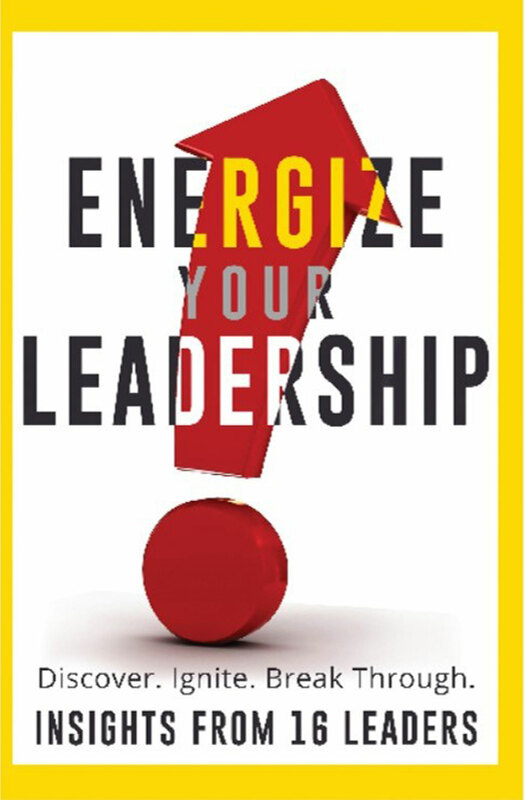 To buy the book you can go to Amazon http://www.amazon.com/Energize-Your-Leadership-Discover-Through-ebook/dp/B00WC5UI1C/ref=sr_1_1?s=books&ie=UTF8&qid=1431985874&sr=1-1&keywords=energize+your+leadership.